Marvin windows and doors have the power to transform the spirit of a room. Each product is made-to-order, one at a time, to your exact specifications. 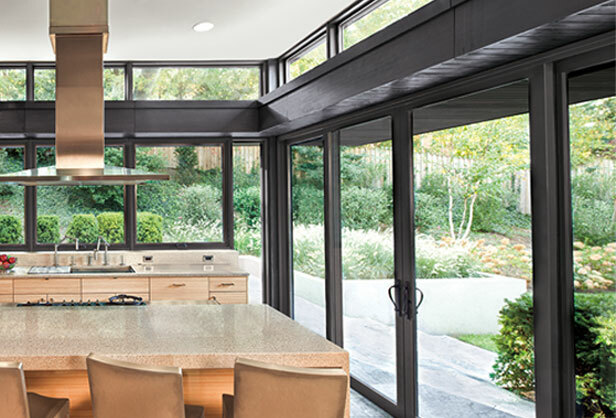 With our customization options, exclusive features, high-performance energy efficiency innovations, and our unmatched personal service at every point in the process, you will be able to find the perfect Marvin windows and doors for your project. High-quality materials are standard, not optional. That’s our starting point because we believe you deserve nothing less than the best. We provide the highest-quality wood species and exterior clad finish so the beauty of your Marvin windows will last for years. You don’t have to sacrifice beauty and comfort to get the best in energy efficiency. At Marvin, we are committed to providing window and door options that will help control your long-term energy costs. And as a market leader in energy-efficient windows and doors, Marvin windows offers more than 150,000 energy-efficient options, including numerous high-performance products that qualify for ENERGY STAR® Most Efficient rating and meet Passive House criteria. If you're looking for Marvin Windows in Long Island, call Nassau Suffolk Exteriors at 631-462-1383, or fill out our online request form.